Marnie Frey is a pediatric nurse practitioner with over nine years of hospital experience. She spent the majority of her career working in the newborn intensive care unit at Yale New Haven Children’s Hospital (Bridgeport Campus) where she managed all phases of care for critically ill infants. Prior to that, she worked as a registered nurse at Lenox Hill Hospital in New York and Children’s Hospital in Boston. 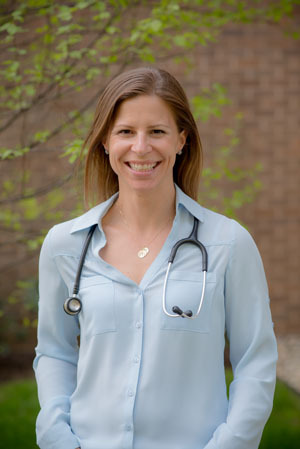 Marnie received a Master of Science in Advanced Practice Pediatrics from New York University and a Bachelor of Science in Nursing from Boston College. Currently, she also works in the Emergency Department at Bridgeport Hospital seeing pediatric patients. Marnie resides in Fairfield with her husband and three children and enjoys spending time with family during her time off.